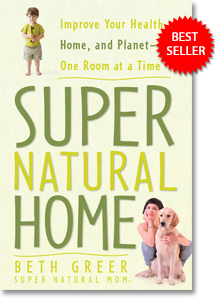 Award-winning journalist and bestselling author of Super Natural Home. Empowering you with expert information and leading-edge holistic approaches to improve your health, mood and well-being. Why Should You Book Beth Greer to Speak to Your Organization? 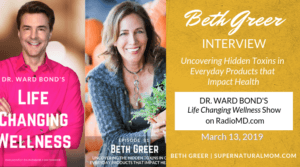 Beth Greer, aka Super Natural Mom®, is a pioneer in the field of environmental health, and one of the foremost experts on sustainable and toxin-free living. In addition to being a Keynote Speaker she also offers Brown Bag Workshops, Half- and Full-Day Seminars and Webinars. 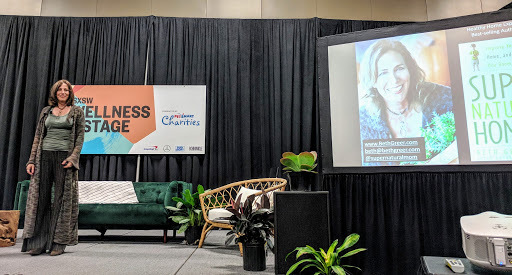 As a journalist and former President of The Learning Annex in San Francisco, Beth’s career change was triggered when she was diagnosed with a large chest tumor requiring, according to her doctors, a complicated surgery which might leave her disabled. But Beth was determined to see, first, if she could find a way to heal herself by identifying and eliminating any toxins in her nutrition, her home, and in the products she put in her, on her and that surrounded her. And she did heal herself without drugs or surgery, much to the surprise of her doctors! Since that time, Beth has been gathering the latest research and interviewing experts such as integrative and functional medicine physicians and healthcare practitioners, EMF and environmental researchers, nutritionists and psychiatrists on identifying and eliminating harmful toxins that impact our health and restoring physical and mental health using foods, nutrients and other holistic medical treatments. She wrote her bestselling book, Super Natural Home, a Books for a Better Life Award Finalist and endorsed by Deepak Chopra, Ralph Nader, Dr. Joseph Mercola, etc., which has changed the lives of readers around the world. Beth has been showing people how to improve health, home and planet…one room at a time, for over a decade. She is known for her practical, hands-on advice, sense of humor, and providing audiences with an array of valuable strategies, insights, techniques and proven methods to radically transform health and vitality that will immediately benefit them and their families. Beth has been interviewed repeatedly on ABC-TV’s View From the Bay, and has appeared on CNN, NBC, NPR, Fox Business, KRON4-TV, News8-TV, Good Morning San Antonio, as well as dozens of radio shows nationally and internationally. 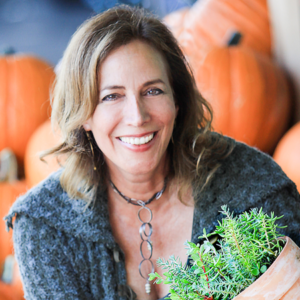 In the print media, Beth has been quoted in The San Francisco Chronicle, Oakland Tribune, Marin Independent Journal, Natural Health Magazine, Health Magazine, to name a few. Beth explains how a chemical-free home helped eliminate her tumor with no drugs or surgery. “I brought Beth to Google to speak about her book and how we can all live healthier, based on her research and recommendations. She did an outstanding job, visually displaying examples of what every day household items, that seem innocent, can actually be unhealthy for your home or environment. 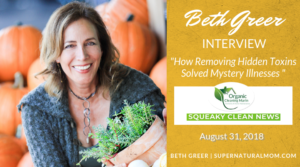 Beth engaged with the audience and made sure we understood the significance of how we can reduce toxins in our environment, as well as take steps to live more naturally and more healthily. “Beth graciously came to our San Francisco office to deliver a presentation to a group of women at LinkedIn that highlighted some of the most important topics and advice from her book, Super Natural Home. The high level of audience engagement was a testament to how well-tailored her content was and the thought that went into developing the presentation and activities. I think everyone who attended got valuable information out of our hour together. In terms of planning the session, Beth was great to work with and eager to customize her talk for our group’s interests and age range. She also went above and beyond to follow-up with specific information based on our conversation during the session. Want to learn about effective, non-drug approaches that can help our Kids in Crisis—those with ADD, ADHD, addiction and other mood and behavioral issues? 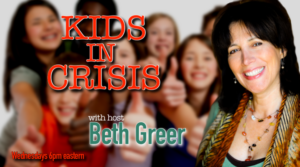 Beth Greer interviews leading Integrative and Functional Medicine physicians, holistic health practitioners, researchers, and addiction specialists who share their expertise and innovative, non-drug approaches to successfully treating kids and adults who experience these troubling issues. Now on iTunes! Are You Looking to Create a Healthier Home? I wrote Super Natural Home because it's the book I wish had been available to me. I had been living what I considered a healthy lifestyle when a painful chest tumor requiring a potential debilitating surgery made me reevaluate everything—from the food I ate to the personal-care products I used and the environment I lived in. Now, in Super Natural Home, I identify the dangerous chemicals we unwittingly expose ourselves to every day and provide straight-forward solutions you can do right away that will enable you to “live clean” in a toxic world. I also include quizzes to help identify and correct potential toxic hot zones in your home.